Inside: Discover three powerful secrets for calming big emotions during toddler tantrums. Toddlers are awesome little humans with an enthusiasm for life that is contagious. They explore the world and experiment with their surroundings. In this phase of life, little ones are testing everything, including their relationships limits and boundaries. With all of this excitement, often comes big emotions. This is why the toddler years are branded with nicknames such as the “terrible two’s.” Parents dealing with toddler tantrums will find powerful secrets for calming big emotions here. Toddler tantrums take on all kinds of shapes and sizes. Big emotions are exerted and are typically accompanied by yelling, crying, or some kind of physical outburst. These toddler tantrums can be both frustrating and embarrassing. Thankfully, there are three powerful secrets for calming big emotions. 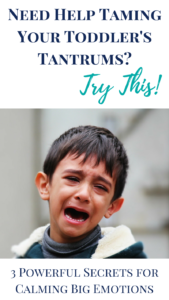 The first secret for calming toddler tantrums is to be consistent. This sounds so simple, and yet it can be incredibly challenging. If we can master this tool alone, we will increase our parenting success tremendously. As a parent, if we say something to our child, mean it. Many times we use threats or bribes to get our children to do what we want. Instead, we can be effective in taming toddler tantrums by being consistent. If your child knows that every time we say we will do something, we follow through, then we will not need to use threats. If our child is having a tantrum but is safe, we can take a moment to inventory the situation. Is this a behavior they do repeatedly or is it a one-time thing? Are there other factors influencing the child’s behavior? Is she acting out because she is hungry, tired, hurt, etc? Think about our child’s day. If we know we will be entering into a situation that is typically difficult for our child, plan ahead. Think of ways you help your child to be successful in that situation. Examples of tantrum inducing situations can include: missing a nap, long appointments, special events, or places that are not child-friendly. Brainstorm ways we can help to create a successful experience for our child, when we know they might face a difficult situation. This will decrease the number of tantrums that could occur. 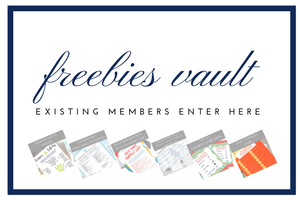 This free email challenge is the perfect solution for parents who are feeling overwhelmed and exhausted from taming toddler tantrums. Click here to enroll. P.S. 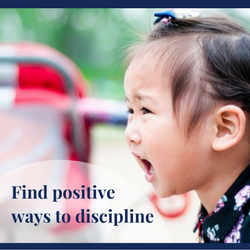 If you enjoyed this piece you may also like the book I wrote called Disciplining Toddlers: How to Handle Challenging Behaviors. Totally agree! Consistency and planning ahead are key. But my toddler still keeps me on my toes with her moods and tantrums despite my best efforts. I can anticipate much better though and try to plan for tricky situations. Yes, despite the best planning it takes several "tools" to tame toddler tantrums. Thank you for sharing! Thank you, Harmony. Yes, consistency sounds easy, but I would say it just might be the hardest tool for parents. Best wishes. Those are good tips. My daughter is just getting into the tantrum phase. Consistency is key with her! Oh Lord do I need this! Being consistent is where I am failing...sometimes I'm just too tired! Great tips! I found it's very hard to save a toddler from tantrums, you have be calm, and patient enough. Think about why your baby is in the big emotion, and then try to meet him if possible or move him to another thing he is interested. You are right Marvin, dealing with toddler tantrums is tricky. Thank you for your insight. But a smiling visitant here to share the love (: , btw great style.